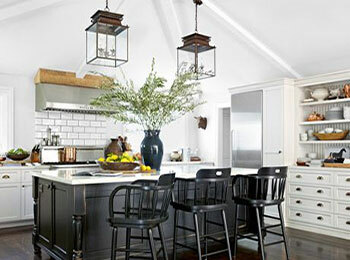 If you’re remodeling your kitchen soon, you’ve likely been looking for a theme or style to base your decor around. One of the most popular themes for home decor right now is global-inspired touches. Designers are taking common kitchen decor elements from places around the world and incorporating them into their client’s kitchens. Here are some of the biggest trends that we’ve brought from around the world to kitchen remodeling in St. Louis. Unique tiling has been all the rage over the past few years, and many people are taking their inspiration from the brightly colored tiles that you might find in the homes of Mediterranean countries, such as Greece or Italy. In particular, deep indigo, pale yellow, and white or cream are popular color combinations. A bright backsplash is a great way to liven up a kitchen and make it look more exciting. If you like a very luxe look in your home, then French baroque style will be perfect for you. The French are known for their elegance and style, and the baroque elements bring a bit of history and weight to otherwise girly elements. When combined with modern or traditional elements, French baroque results in a very chic and fashionable kitchen that is still versatile enough to last the test of time. Some of the specific elements of French baroque include gold hardware, opulent chandeliers and sconces, and elegant florals, all of which work well in many different types of kitchens. Asian design is very universally appealing, with clean lines, rich colors, and an emphasis on nature. This style works particularly well in kitchens, because it brings life into a room that is traditionally more functional than stylish. In particular, the influence of Asian plants such as bamboo is a popular trend at the moment. Bamboo is a popular material for wood flooring because it has a light finish and is very sustainable, but using plants as decor is also a great way to make your kitchen feel a bit more interesting. Scandinavian minimalism has been one of the most unique and exciting trends in home decor over the past few years, and it’s easy to see why so many people love it. It’s easy to execute, and has a look that’s clean and soothing without being boring. To achieve the Scandinavian look, opt for sleek surfaces in a neutral color palette, and then accessorize with a few high-quality artisan items in soothing colors such as deep blues, greens, or purples. Middle Eastern inspired kitchens are ideal for those who want some opulence and glamor in their space. 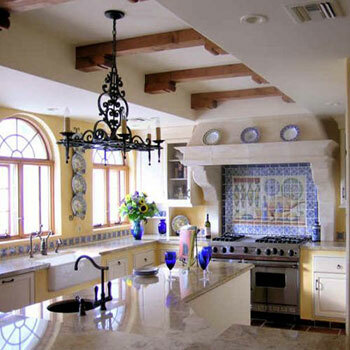 Middle Eastern kitchens incorporate complex backsplashes similar to those used in Mediterranean design, as well as gold touches, high arches and columns, and skylights. If your kitchen already has high ceilings, installing arches adds detail and interest, and makes your kitchen feel very grounded. Materials in Middle Eastern design are generally on the heavier side, such as deep woods or marble. Handcrafted rugs are also commonly used as an accent. Bringing global influence to your kitchen is a great way to personalize it and make it feel more vibrant, particularly if you are incorporating trends from your native culture. When using global design principles, you can get very creative and pick and choose the ones that make the most sense for your style. 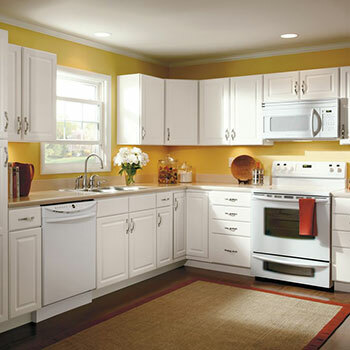 We are a home remodeling service based in St. Louis, Missouri. We offer a variety of different service options to our clients to help them upgrade their homes. Our goal is to help you not only change the aesthetics and functionality of your home, but also to help increase its resale value without breaking the bank.